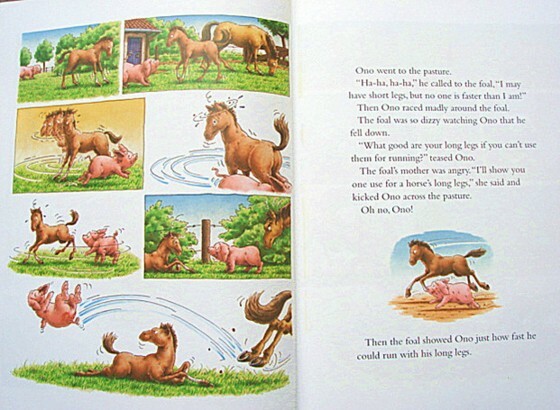 PreSchool-Grade 2�CA curious piglet races around the barnyard finding mischief in this cozy tale. 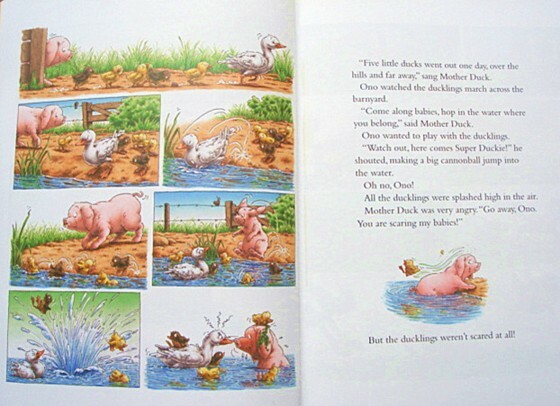 Each spread presents a brief adventure about Ono: chasing a rabbit into its den and getting stuck, doing a cannonball into the pond and splashing the ducklings into the air, saving a hen's egg from a hungry fox, and inadvertently tipping a haystack onto a cow. 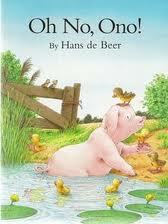 His escapades are inevitably greeted by the repeated refrain, "Oh no, Ono." Each episode ends with a wry comment about the lesson he has learned or the friends he has made. Small panels show the action on the left-hand side, while the narrative appears on the facing page. The marriage of the art and text is integral to the book's success; the full-color illustrations complete the action that the words merely hint at. 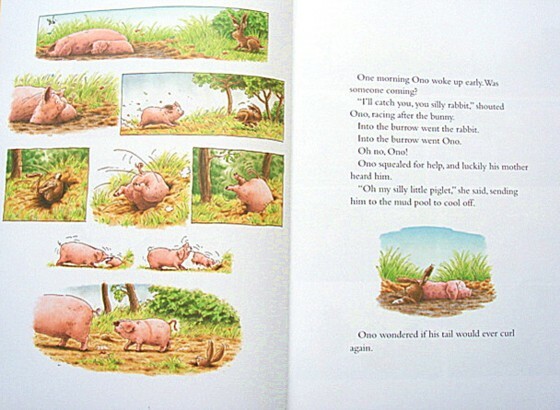 Youngsters will delight in this saucy pig's irrepressible enthusiasm for new experiences and the benign regard or testy reactions of the animals he encounters. While the pictures are too small for groups, they are perfect for one-on-one sharing and independent readers.